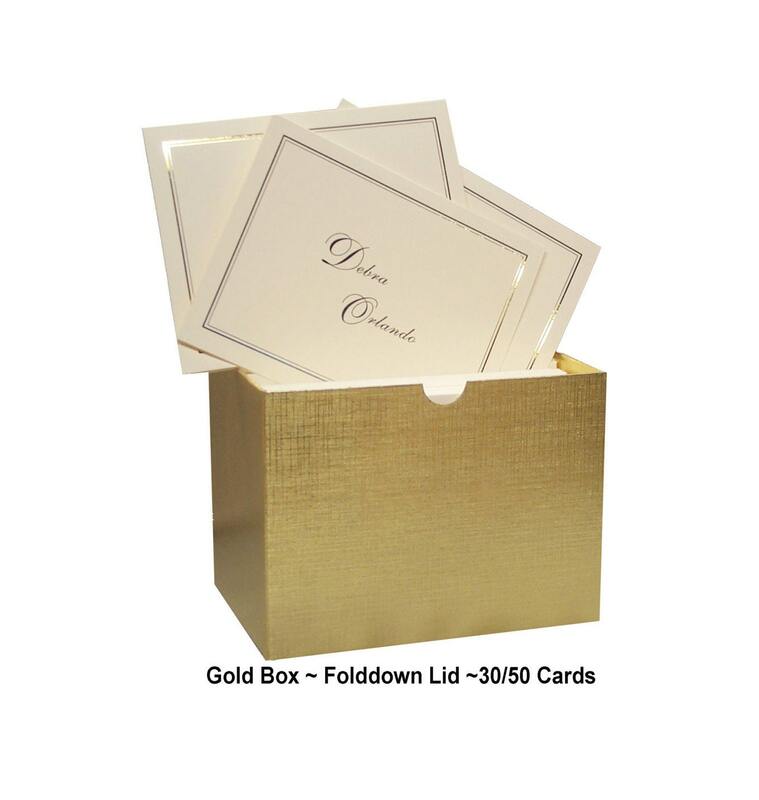 These gorgeous note cards featuring gold foil printing are designed to impress with their shine, luster and beauty! Discover their multiple uses. 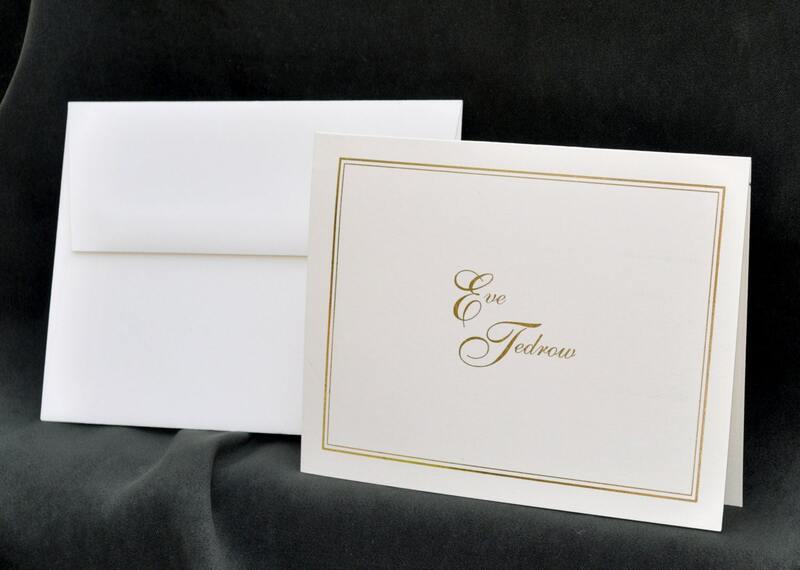 Perfect for “Thank You” cards for your wedding or birthday, sympathy or “Get Well Soon”, or for any other occasion or purpose, these custom cards are versatile in every which way. 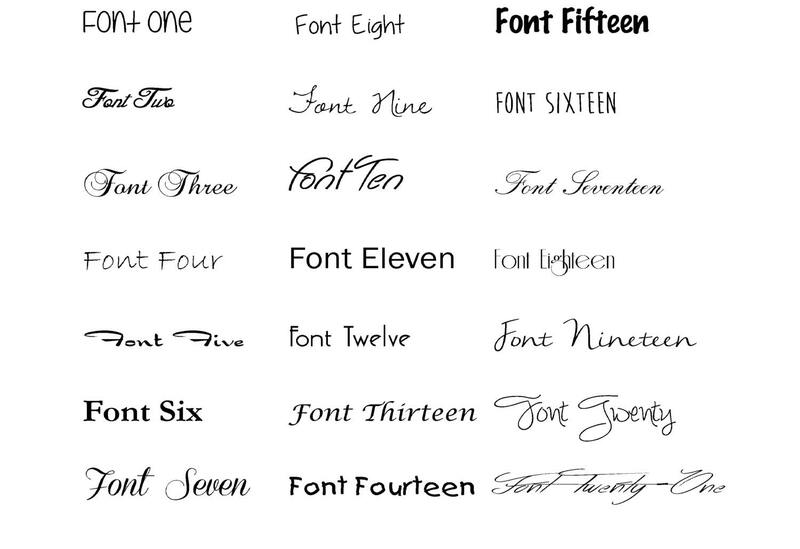 Personalize with a first name only, a full name, a nickname/title or a family’s last name. • 90 lb. 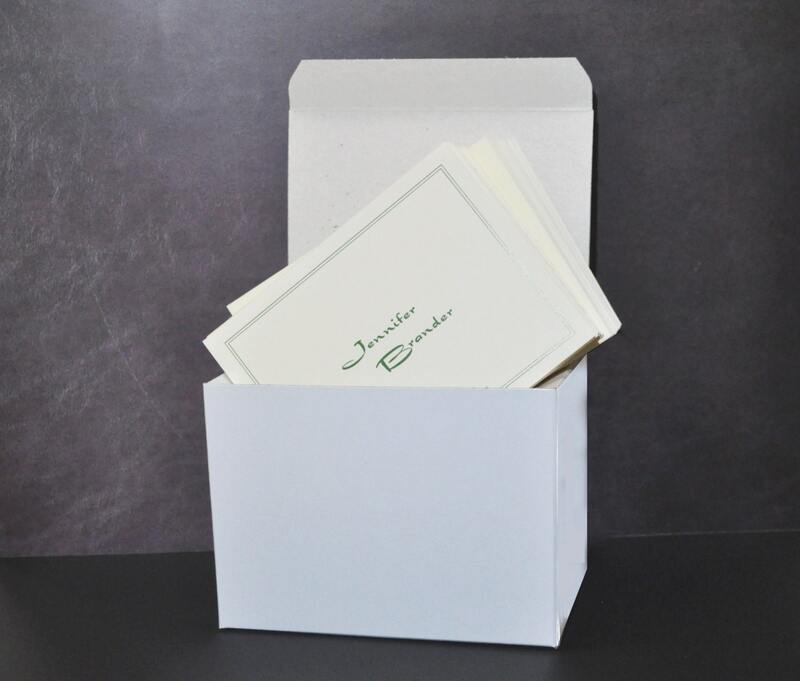 cover stock with a silk coating on the outside and uncoated on the inside for writing ease (FSC certified paper) and bio-degradable foil. Please note that this is genuine metallic foil and not shiny ink. 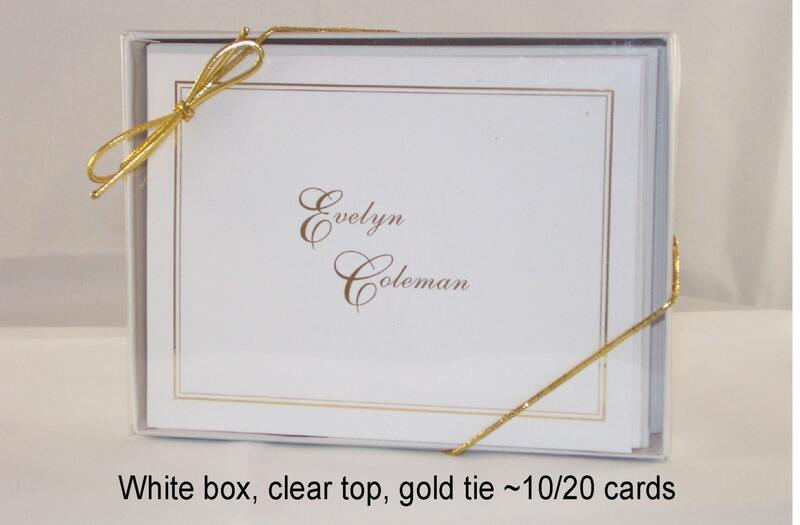 • Cellophane sleeve packaging (included) or for a small fee, upgrade to a gift box (you may choose between the gold foil or white gift box--please specify in the "Note to Seller" at checkout).